Executives from 25 news organizations urged U.S. Secretary of State John Kerry to press for the release of a Washington Post reporter jailed in Tehran. "Journalism is not a crime. 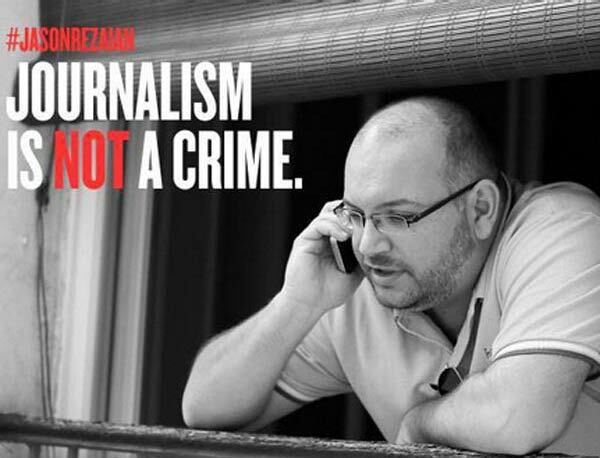 Yet...Jason Rezaian has been imprisoned by Iran since July 2014 for doing his job. Iran has never offered any evidence that even makes a pretense of justifying this imprisonment," the executives said in a January 8 letter to Kerry. "The United States has considerable leverage with Iran right now to press that point, and we urge you to continue to do so," they wrote. Kerry has frequently raised Rezaian's case with Tehran, but he has refused to link the release of Rezaian or other U.S. prisoners with the lifting of U.S. sanctions on Iran, which is expected this year as Tehran rushes to carry out its part of a landmark nuclear agreement with global powers. Rezaian, 39, was convicted in closed proceedings last year after being charged with espionage. The length of his sentence has not been disclosed publicly. Media organizations represented in the letter included the Associated Press, The New York Times, The Los Angeles Times, ABC, CBS, NBC, and CNN.